How could anybody dislike bicyclists? They’re engaging in a healthy activity. They eschew fossil fuels. They allow garages to be used for storage. It turns out that there’s plenty of antipathy for bicyclists, on both sides of the Atlantic. And it looks like cycling needs to do something to fix its image. You don’t have to dig very deep to find someone who thinks bicycling is a bad idea. Not long after Citi Bikes got started in New York City, Wall Street Journal contributor Dorothy Rabinowitz went after the cycling system with both barrels. 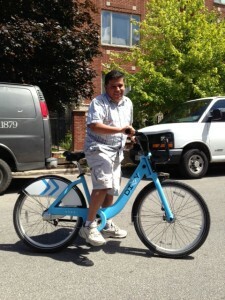 Last month, I visited Chicago to check out Divvy Bikes and see what cyclists think of the new bike sharing program. As I was driving through West Town at lunch time, I saw Roger Guerrero cycling by, and asked him if he’d talk to me about his Divvy experience. Click the link above to hear our interview. Here’s Roger on his ride. Would you like to send us your Bike Share Review? 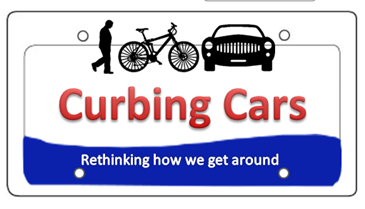 Send an email to curbingcars@gmail.com. Curbing Cars backer Michael Leland is an avid cyclist who spends lots of time on the road in Wisconsin, where he is the news director for Wisconsin Public Radio. 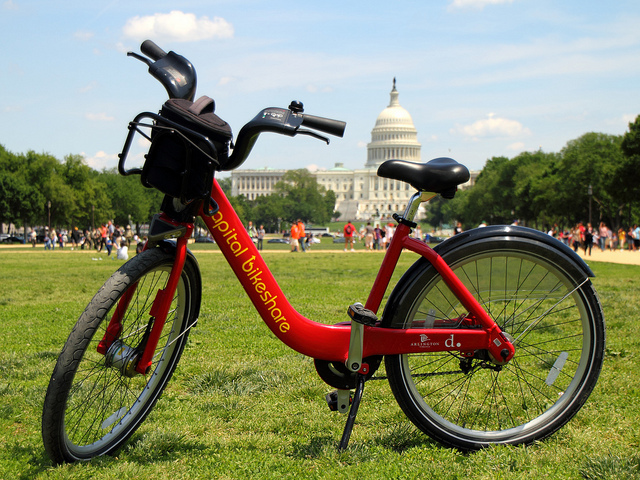 In our inaugural Bike Share Review, Michael writes about his experience testing out Capital Bikeshare in Washington, D.C.
“A few years ago, I was staying in Crystal City, (Arlington), Virginia for a conference, and there was a Capital Bikeshare station in front of the hotel. I bike a lot at home in Wisconsin and try to exercise when I’m on the road, so I thought it would be nice to use on of the bikes for early-morning rides along the Potomac. 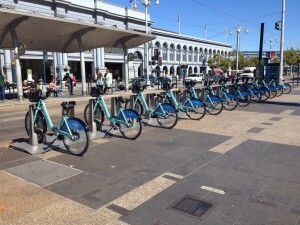 Bay Area Bike Share kicked off this week. It’s been the summer of bike sharing! 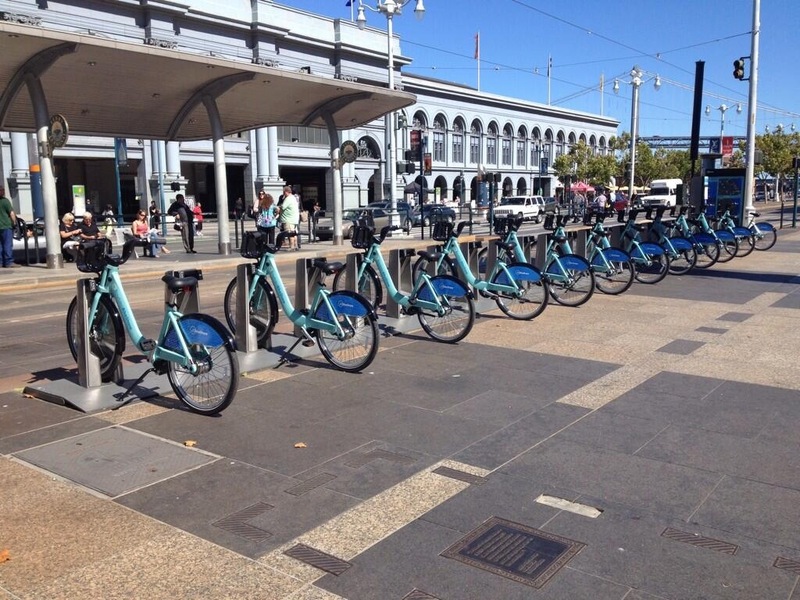 This week, Bay Area Bike Share (or as we’re thinking of it, BABS) kicked off in the San Francisco area. Meanwhile, Chicago is getting to know Divvy Bikes, and New York has thrown its arms around Citi Bike. They’re just part of the bike sharing movement that has literally swept the world, from Paris to Shanghai, Montreal to Chattanooga. 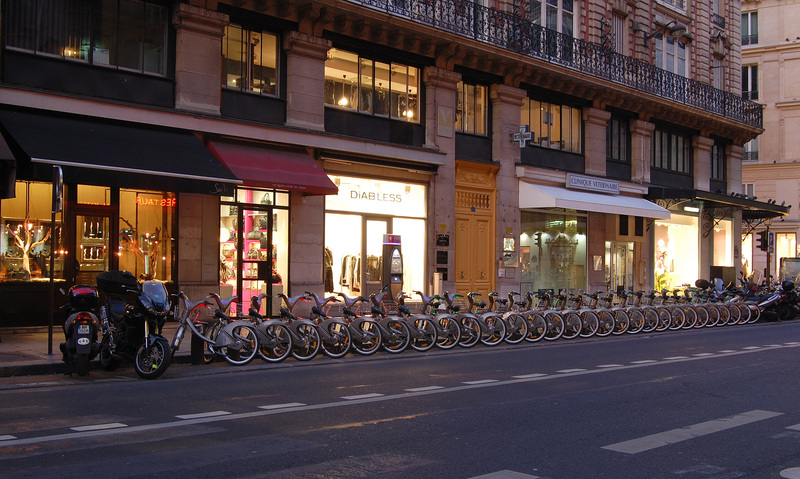 College campuses have bike sharing, and so do many cities around North America. Have you tried out one of these systems, either in your home town or as a visitor? If so, we’d like you to send us your Bike Share Review. As we’re doing with My Transportation Diary, we’ll be running these regularly at Curbing Cars. Our first one is ready to go this weekend. 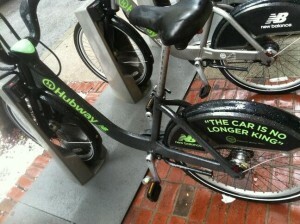 Photo courtesy of The Hubway. Next week, 100 freshmen will show up at the University of Dayton, and will each get a new bike. There’s only one catch: they had to pledge to keep their cars off campus for two years. That might be music to the ears of a lot of college students, who can’t afford cars any way. But at a lot of commuter schools, cars are a must. You can read more about the Dayton program in my story for Forbes. Dayton is far from the first school to offer free bikes; this has been a trend on campuses for years. The offer is an off-shoot of Dayton’s bike-sharing program. It’s among more than 30 schools around the country that offer their students bike sharing. Would a free bike keep you from bringing a car to school, or is it just a necessity where you are? For more than a century, automobiles have been at the center of American life. They provided mobility, freedom, pizzazz and of course, millions of jobs. Since the Great Recession, however, people have begun to rethink the ways they get around. Some are simply driving less, or switching from big vehicles to smaller ones. Others are downsizing their family fleets, either because their kids have moved out, or they can’t afford as many vehicles. 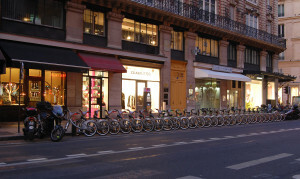 People are trying out bike sharing programs, like the ones in New York, Chicago and very soon, San Francisco. Car sharing systems and ride sharing systems are growing in popularity. Nobody is quite sure yet whether this is a fad or a significant social change. But Curbing Cars is making it our mission to find out. Welcome to our project. We’d like to know whether you’re changing the way you get around, or just wonder what it means for the auto industry. Come back any time to share your ideas.